Larkmead School in Abingdon carried out a cross-curricular project based around Al-Mizan. 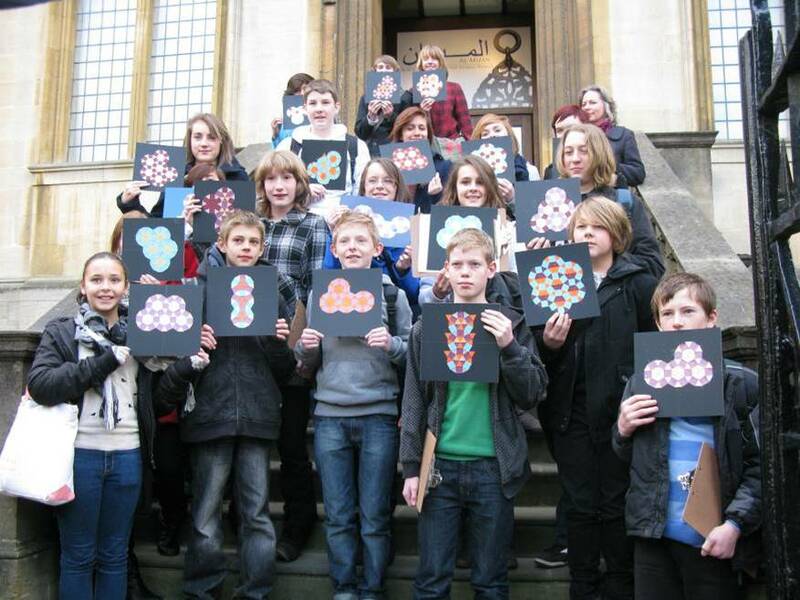 A Year 9 group of gifted and talented pupils spent a morning at the Museum in a geometrical drawing workshop. This was followed by an activity designing tessellating tiles and observational drawing from the Al-Mizan exhibition. A follow-up workshop and exhibition at the school was led by artist Debby Emedian to cement the art and mathematics linkage. Please take a look at the Presentation slides of the workshop and the pupils' work.